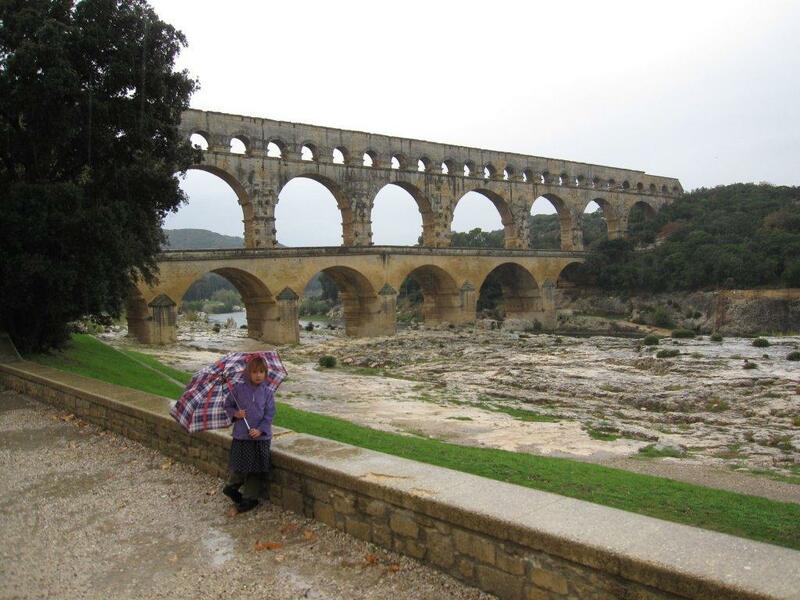 The Pont du Gard is less than an hour from our village and is a perfect day trip. When we first arrived we were shocked at the price for parking – 15€!! But it was actually quite a deal since the price covered access to the entire site for the whole family – including an extensive hands-on kids educational exhibit, a museum about the history of the site, plus miles of trail and of course the absolutely amazing pont itself. It was built in the first century by the Romans as part of an aquaduct to move water 50 miles from a spring in Uzes to Nimes. It took about fifteen years to build and used almost no mortar. The result is still stunningly beautiful thousands of years later. Those Romans were really impressive builders!!! In the summer you can swim in the river right under the pont itself. For only 25€, you can buy an annual pass that includes the day of your visit, so we were upsold the extra 10€ and definitely plan to go back. And it gets even better. 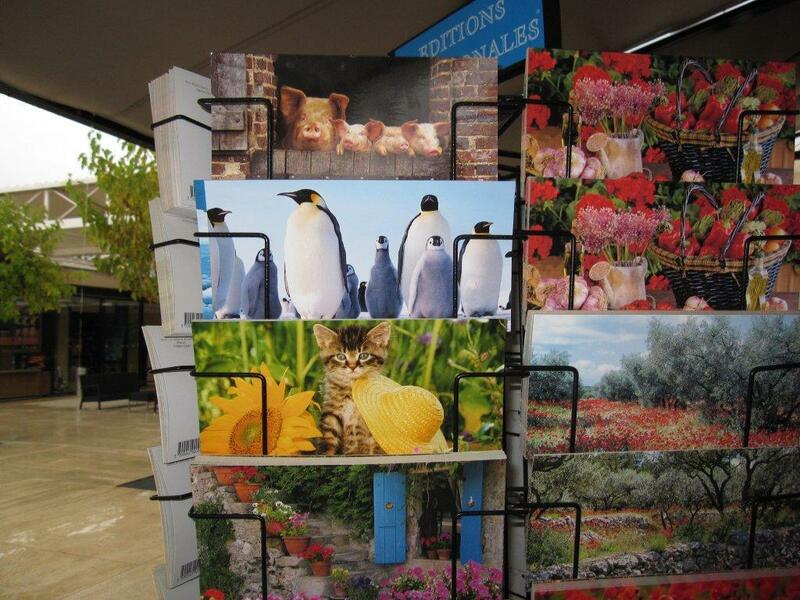 If the sight of such an amazing Roman architectural feat inspires an urgent need for a penguin postcard – you are all set. Penguin Postcard at the Pont du Gard?!? Love all your blog postings, like that beautiful px of the 40 votive candles for your b-day, and this one in particular reminds me of our visit to this exact location years ago. It was such a great find, we could have spent much time there, sitting out for lunch and also hiking in the many trails around.